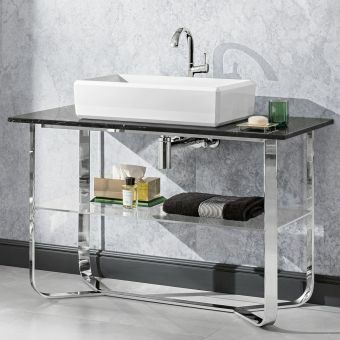 Imperial Adare Marble Console Stand with Radcliffe BasinsFrom £3255.99 inc.VATRRP: £4069.99 (Save 20%)Stand and legs available in chrome, gold or nickel finish. 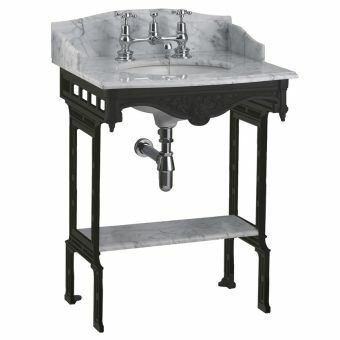 Stone topped twin console with white Radcliffe basins. 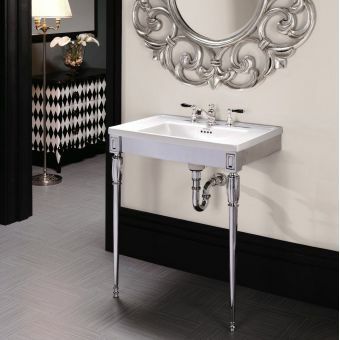 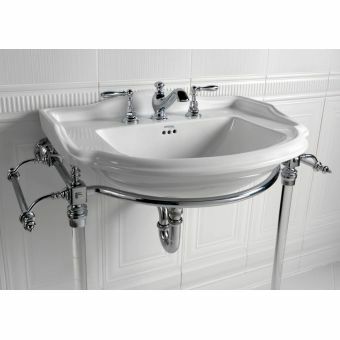 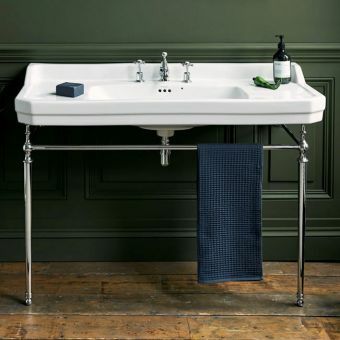 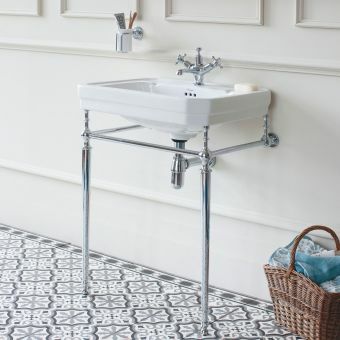 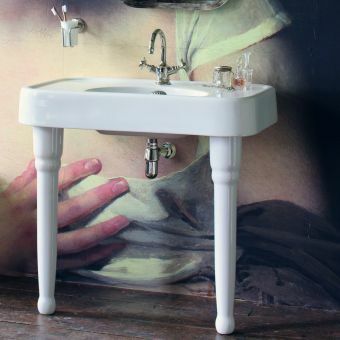 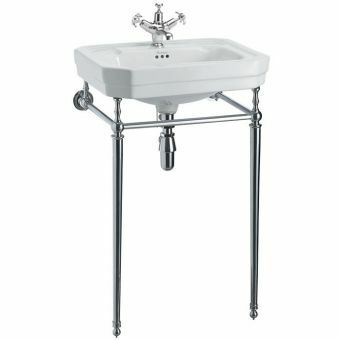 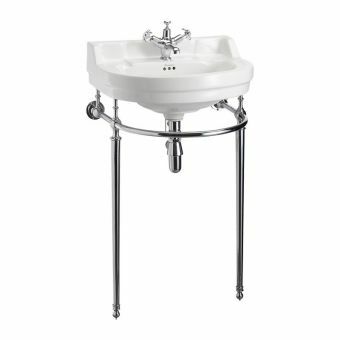 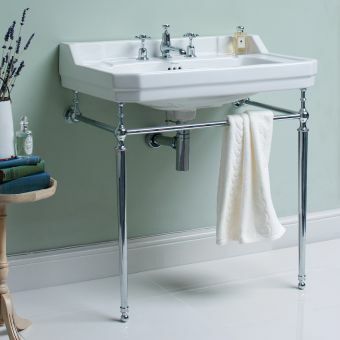 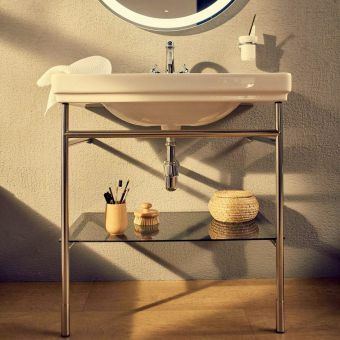 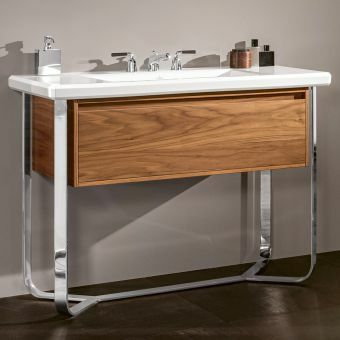 Here at UK Bathrooms you will find a wide range of traditionally styled washstands from leading bathroom manufacturers and respected brand names such as Imperial Bathrooms, Burlington and Arcade, Clearwater and many more. 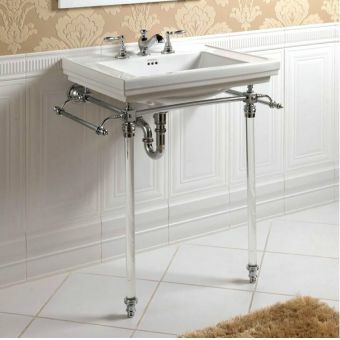 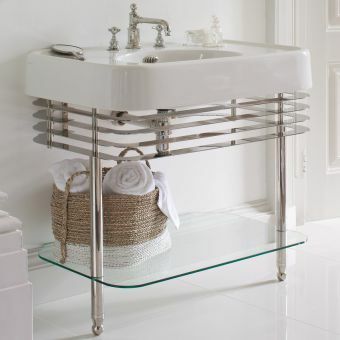 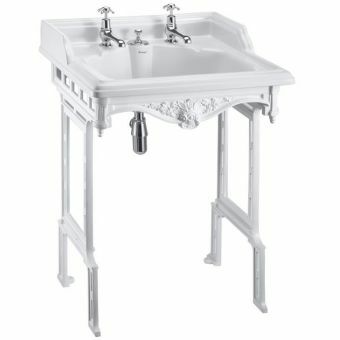 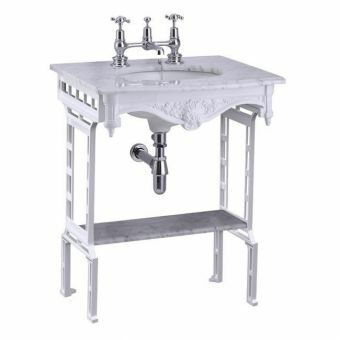 Bathroom basin washstands, or bathroom sink consoles as they are sometimes referred to, are an extremely tasteful choice for any bathroom cloakroom, ensuite or a grand master bathroom. 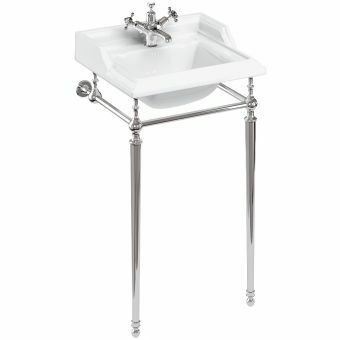 These beautiful, refined pieces of bathroom furniture hold your double or single bathroom basin in place elegantly. 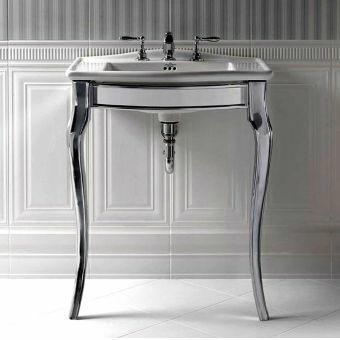 They offer an air of sophistication and distinction to any bathroom design that will not only impress guest but be a pleasure to use every day, adding refinement and a touch of class to your daily washroom routine. 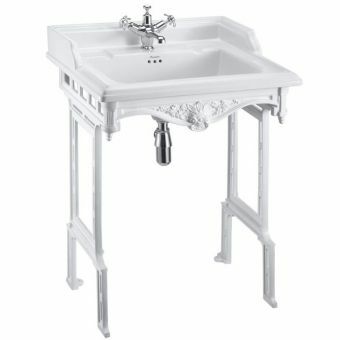 A variety of sink console sizes and designs are available from a number of leading brands such as Imperial Bathrooms, Burlington, Clearwater and Arcade by Burlington. 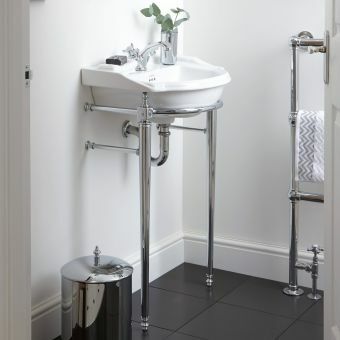 Starting from smaller compact cloakrooms up to large, wide bathroom wash stands with double basins and worktop space. 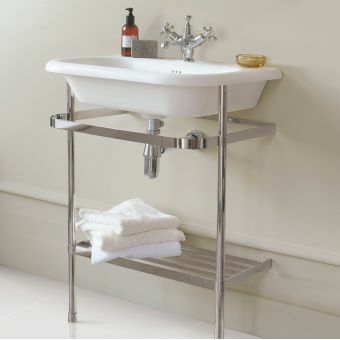 A few models will have a shelf option which is ideal for storing clean fresh towels or decorative toiletries. 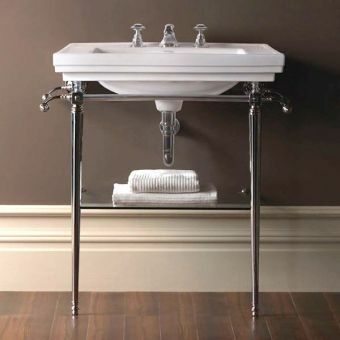 Other models also feature towel rails which is really handy for a hand towel right where you need it under the bathroom sink. 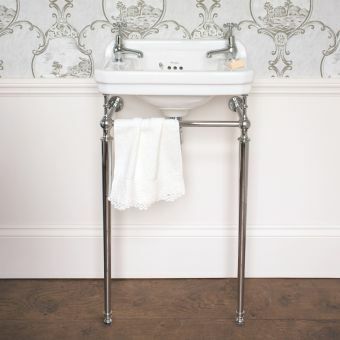 Most of our washstands have a freestanding appearance, but the basin is in fact supported by wall fixation, two fixing bolts go through the basin into the wall. 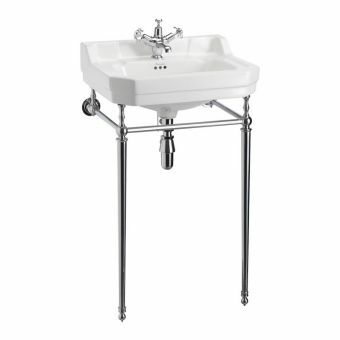 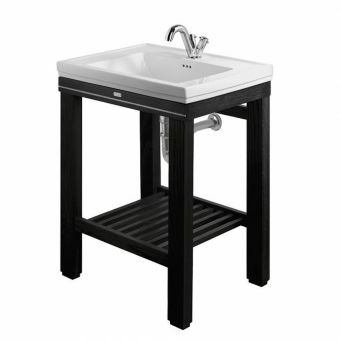 This gives extra strength and peace of mind that your new washstand is very sturdy and has been installed securely. 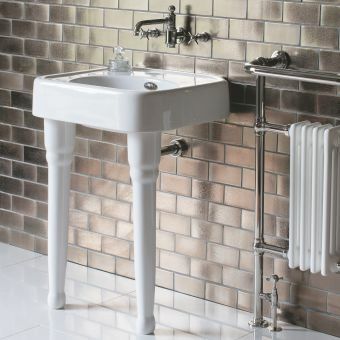 To create a freestanding look we would recommend choosing a fully open design without any shelving, try an elegantly tapered leg from Imperial Bathrooms such as the Oban which has a very gentle S curve on the legs, and a softly bowed front on the stand following the lines of the basin. 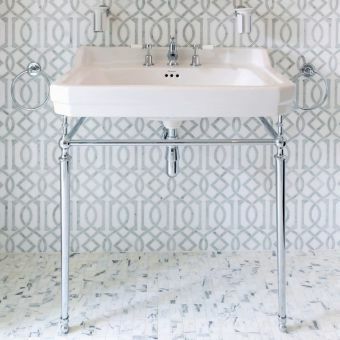 The stand has a framed effect, quite like Edwardian panelling, adding to its period feature charm. 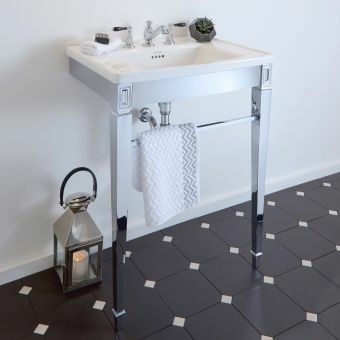 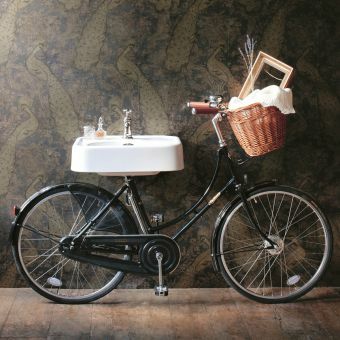 You may be looking for ideas for your new washstand, there are lots of options for creating all kinds of looks from traditional large bathroom washstands to industrial inspired looks. 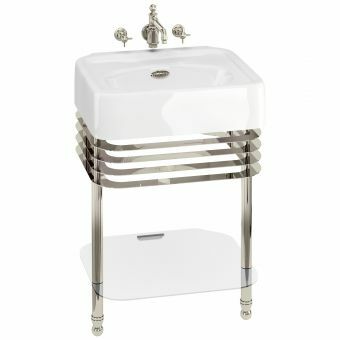 Imperial bathrooms offer their stands in chrome, nickel or gold. 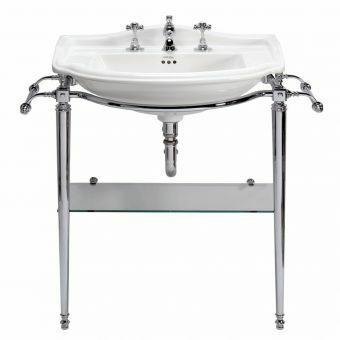 Burlington Arcade is offered in chrome or nickel. 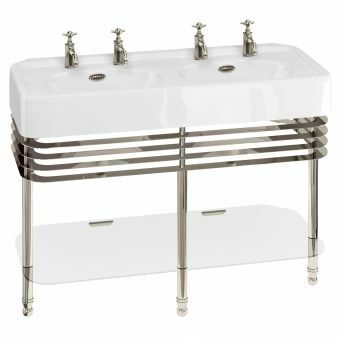 For a coordinated look we would recommend matching your brassware to your washstand finish if you are going for a metal basin console. 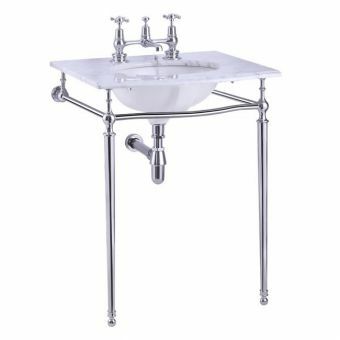 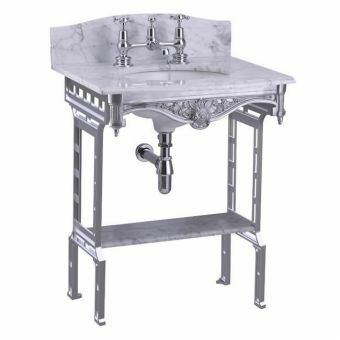 For example an Arcade washstand in nickel would look really well put together with nickel taps and matching nickel bathroom accessories. 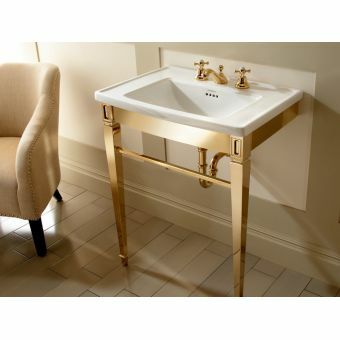 Equally inspired would be an Imperial Bathrooms washbasin console with matching taps by Imperial Bathrooms in their gold finish. 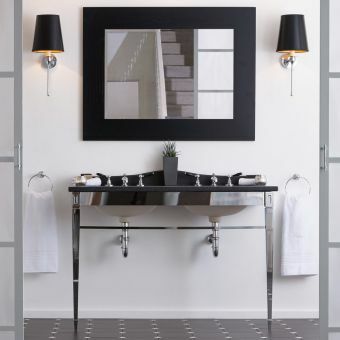 This will bring your entire design together and the overall feel will work wonderfully.